We have been hearing rumors of an HTC phone with a large 1080p display for a while now and it has finally come true. 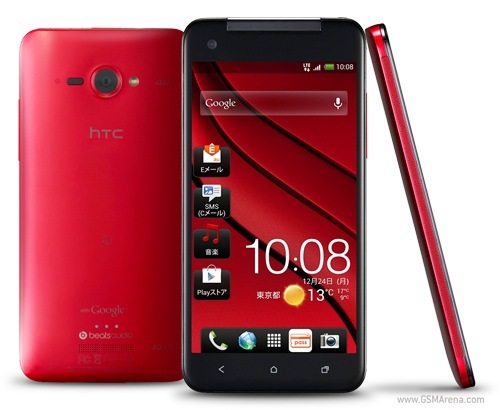 HTC has unveiled the HTC J butterfly in Japan and it is the first production smartphone to have a 1080p display. The display in question is a 5.0-inch, Super LCD3 with a resolution of 1920 x 1080, which gives it a pixel density of the astonishing 440 ppi. The display is quite big but at 143 x 71 x 9.1 mm, the J butterfly is only slightly bigger than the One X (134.4 x 69.9 x 8.9 mm) and at 140g weighs just 10g more. Inside, the HTC J butterfly runs on a quad-core Qualcomm APQ8064 Snapdragon S4 processor clocked at 1.5GHz with 2GB of RAM. It has 16GB internal memory along with a microSD card slot. On the back is an 8 megapixel camera with 1080p video recording and on the front is a 2 megapixel camera. The phone supports LTE and NFC and is dust and waterproof (IPX5). Strangely, for a phone with such specs, the battery is only 2,020mAh. Lastly, the J butterfly will ship with Android 4.1 Jelly Bean out of the box. The HTC J butterfly is set to release in Japan on AU/KDDI in December. The phone will be sold in three colors: red, black and white. Unfortunately, this particular model will be exclusive to Japan but we are sure to see that glorious display on HTC's future models soon.